← Can Your Loved One Lower Their Prescription Costs? As a family caregiver, you are going to face stress in the home care of your parent. This is a natural and normal part of facing challenges and demands in your life, and can help you to handle these in the most effective and efficient way possible. If you encounter an excessive amount of stress, however, you are at risk of suffering from cognitive, emotional, mental, and even physical health and wellbeing consequences. Recognizing your risk for stress and making choices that will help you to manage and reduce this stress as effectively as possible can protect you throughout your home care journey and ensure that you are able to be the highest quality caregiver for your loved one. 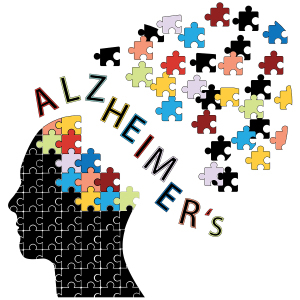 While all home care issues can result in stress, one that is particularly stressful for virtually all caregivers is Alzheimer’s disease. This progressive form of dementia is a life-changing condition that will put you in the position of needing to give your parent an ever-increasing amount of care, support, assistance, and encouragement. By embracing the risk for stress and preparing yourself for it you can better approach this stress in the way that is right for you and your needs, as well as for your aging loved one. • Knowledge of future decline. One of the realities of Alzheimer’s disease is that it changes regularly. There is no way of knowing how your parent is going to progress through the condition or what needs and challenges they will face at each stage. They might have only mild needs for several months or even years, or you may find out that they have Alzheimer’s disease and only a few weeks later your parent will be suffering from extensive cognitive functioning decline. Just knowing that this uncertainty is ahead of you can cause stress and anxiety. • Frustration of cognitive functioning decline. As your loved one moves through the progression of their disease, their cognitive functioning will decline. This includes their memory skills, judgment, cognitive processing, decision making, and ability to communicate. Even if you would not want to admit it, facing this decline with your aging parent can be frustrating. You might not know how to handle hearing the same story 20 times each day or your parent making dangerous or frustrating judgments like wandering or taking all of the food out of the refrigerator. This frustration can lead to serious stress. • Increased physical care needs. Along with cognitive functioning decline, your parent will experience increased inability to care for themselves physically. The need to assist them with the potentially sensitive tasks they need to fulfill daily such as toileting, bathing, hygiene, and eating can be emotionally difficult for you. It can also be physically difficult, which can cause further emotional stress and strain. This can be especially true if your parent is resistant to this care and becomes combative or difficult with you. This entry was posted in Home Care Atoka TN and tagged Home Care Atoka TN. Bookmark the permalink.